Sacred Arts Camp is one of the oldest and largest Dances of Universal Peace camps in Europe, and it attracts participants from all over the world. It is run on a not-for-profit basis and ticket prices represent extremely good value. A week-long camp pitched in a beautiful field surrounded by native trees and the rolling Chiltern Hills of Oxfordshire, a wonderful holiday for adults, teenagers and children. 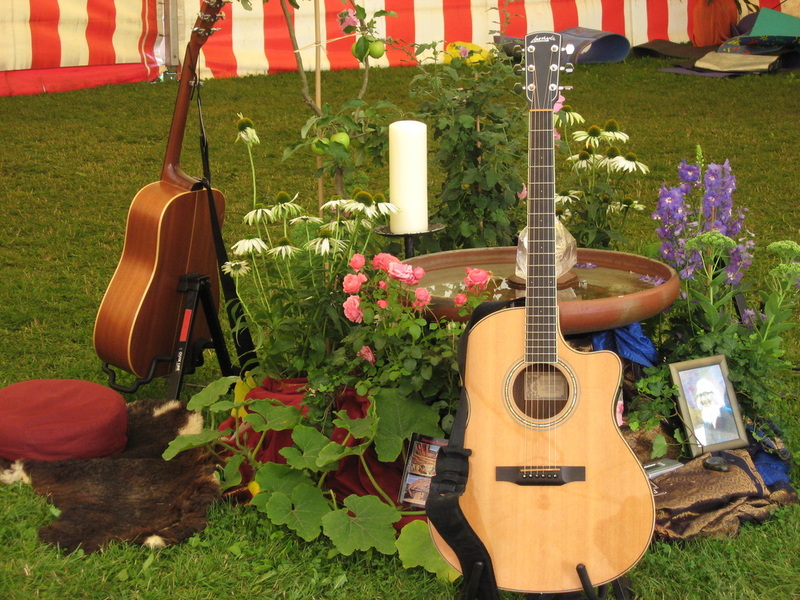 events which run throughout the week include; a big top, marquees, yurts and tipis. There is so much opportunity for being and doing that you are unlikely to want to leave the site at all - there is even a shop to stock up on provisions! We have a lovely vegetarian café offering hot meals, cakes and a welcoming space! 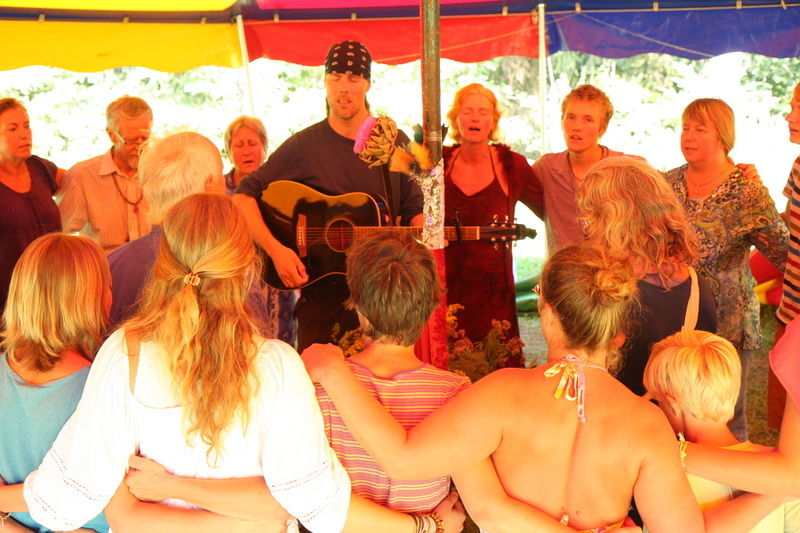 Camp is above all a celebration, an opportunity to share a gentle creative space where spirit can move freely and community can thrive. Where people can connect with the rhythms of the earth and celebrate their creativity and honour the spiritual richness of our world. 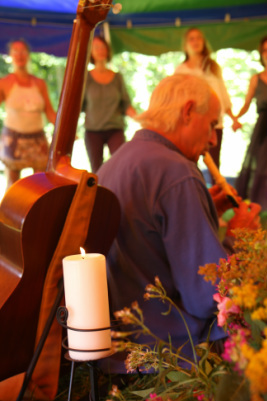 Dances of Universal Peace are at the heart of camp; a form of celebration and meditation involving simple steps and mantra from spiritual traditions from around the world. friendships. They are supported in organized workshops, music, games and sports. Children also love camp joining in with the creative workshops and games and other activities provided for them each day, making new friends and relishing the opportunity for natural and free play. There is also a space for under 5s and their carers to meet and play, with some activities provided. Concessions and early bird discounts are available. Special ticket prices for young people -- please see external website below for details. Address: Near Reading, Berkshire, UK. Exact venue address is given upon booking. Travel: Trains every half an hour from London to Reading. Hourly buses from Reading to the camp. Car parking available. Sign up to the newsletter for UK and stay informed of future events. The newsletter will normally be sent no more than two or three times a year and you can unsubscribe at any time.